Fleetwood Mac News: Review: Fleetwood Mac Live in Tacoma "A Romantic Journey Down Musical Memory Lane"
Review: Fleetwood Mac Live in Tacoma "A Romantic Journey Down Musical Memory Lane"
It was interesting that Mick Fleetwood waited until the completion of Fleetwood Mac’s brilliant, Tacoma Dome performance to proclaim, “The Mac was back!” It was as if Fleetwood was spiking a metaphorical football in the end zone after scoring a game winning touch down. He let the legendary group’s music and highly energized performance do the talking first. Longtime fans know that the band was formed in 1967 by Peter Green and the group’s lone original member Mick Fleetwood, later to be joined by then husband and wife, John and Christine McVie. 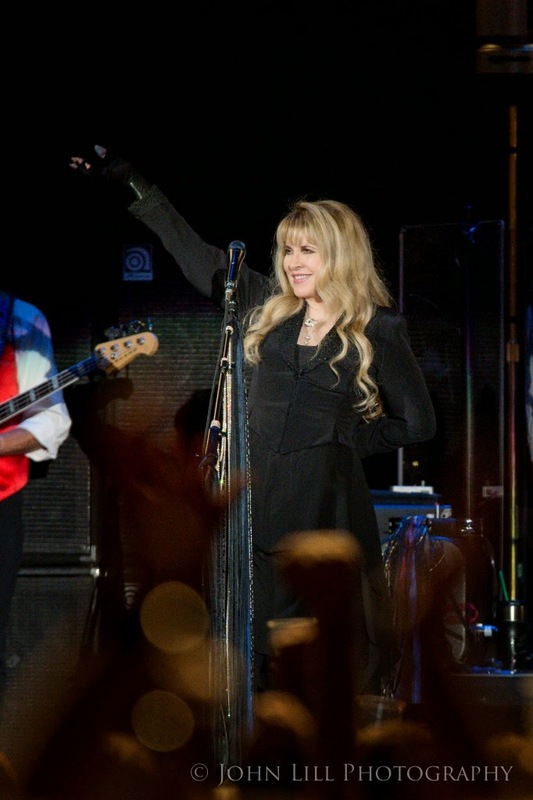 But it wasn’t until when the singer and songwriting duo of Lindsey Buckingham and Stevie Nicks joined that group that Fleetwood Mac went from just the critics darlings, to critic darlings and mega-hit makers. The house lights went down and the subtle sound of Mick Fleetwood’s chimes came up through the speakers and the band launched into the haunting and romantic angst ridden “The Chain.” Juxtaposed by the band’s second number “You Make Loving Fun” sung by the prodigal sister, McVie, the endless stream of hits just kept on coming one after another over the course of the next couple hours. Fleetwood Mac was in vintage form. Stevie Nicks one of a kind vocal delivery coupled with Buckingham’s heart felt free-fingered guitar styling, brought greater energy and intensity to the bands overall sound. Of course McVie and Fleetwood, (who may be one of rock’s best rhythm sections next to the likes of Cream’s Ginger Baker / Jack Bruce and Led Zeppelins’ John Bonham / John Paul Jones), provided a solid foundation for the band who was also backed by an additional guitarist, keyboardist, percussionist and 3 piece vocal section.